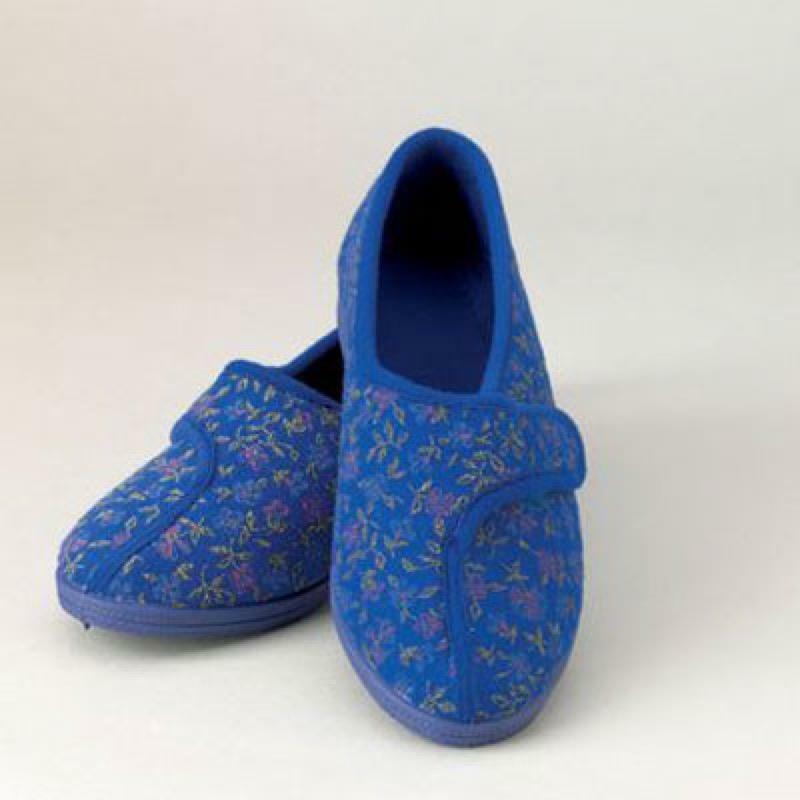 The Ladies Comfort Slippers have a wide opening for swollen feet, are machine washable, and have a slip resistant, hard wearing sole. Easy to fasten and adjust. Available in blue or red. Available in blue and red, sizes 4-8.